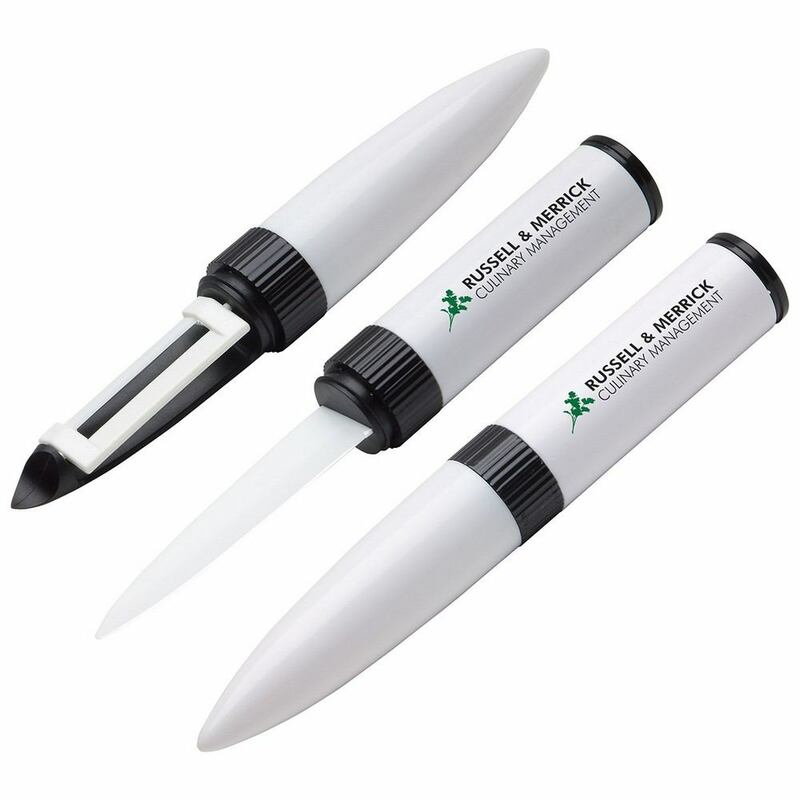 The Compact Ceramic Knife and Peeler Duo features sharp cutting blades and allows adding brand logo and message for amazing Custom Logo Products. Add your brand impression to their minds by adding the Compact Ceramic Knife and Peeler Duo to their kitchen! The compact kitchen utensil is a two in one tool set which works as a knife and a peeler. Removing screw-on sleeve from one end exposes knife while the other end reveals the peeler. It features very sharp ceramic cutting blades to work efficiently in the kitchen cutting and peeling tasks. One can easily peel the skins of fruits and vegetables with the peeler and once they are peeled, the ceramic knife can be used to cut, chop, slice or dice them. Ideal giveaway items for culinary schools, cooking classes and other cooking based events, this product allows complete customization to showcase your brand.